Mission Statement: Dash’s mission is to deliver safe and reliable financial solutions to consumers and merchants in a decentralized manner – providing greater economic freedom to its users. Vision statement: People and businesses use Dash as digital money for everyday financial transactions. The DASH project will build and maintain an innovative decentralized payment network which will act as the core of an ecosystem of consumers, merchants, and service providers. This network will provide users with a fungible currency that provides a high degree of privacy, speed, and reliability for both physical and online transactions. We will foster a robust ecosystem of products and services by developing solutions that service the needs of both consumers and merchants while working closely with service providers (e.g., merchant service providers, exchanges) to enable features and functionality that will delight our users. Finally, we will cultivate adoption of this ecosystem through education, promotion and engagement of potential users on the benefits of cryptocurrencies and the functionality our solutions enable. 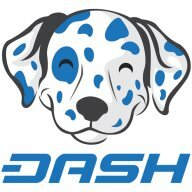 The Dash project has grown significantly over the last few months with an ever expanding team of developers, marketers, attorneys, economists, and other professionals volunteering their time and skills to build on our already remarkable success. Once a one-man project, Dash has become a “Top 5” cryptocurrency with over a dozen significant contributors. While an increased team size can deliver many benefits, it also comes with more difficult decision making, and increased administrative and organizational burdens. Typical issues for such quickly growing projects include fragmented information sources, lost transparency and vision, unclear roles and task ownership – all issue which Dash has already experienced to some extent. We expect the team and its capabilities to grow even further. Future plans call for more core developers and more volunteers for critical projects. Some of these projects are already underway (mobile wallets for iOS and Android), some require ongoing efforts (wallet UI overhauls and translations), and there are many more to come. Overseeing this volume of projects is exponentially more difficult than coordinating a team of 2-3 members. It is also important to avoid burdening core developers with an increasing number of management tasks, but rather enable them to focus on their core competency: coding. Project Organization and Collaboration – The Project Management team will identify and implement a common framework and set of tools to enable teams to self-organize, and to interact effectively within the team and across teams. The team intends to implement professional software delivery standards, based on time-tested industry methodologies like Scrum, Kanban, ITIL or PMI. Quality Assurance – Implement industry standard processes and tools to improve testing, reduce bugs, and prioritize and monitor fixes. The Project Management team will co-operate directly with the Core Team and support all the project team members to help make Dash a success. The team is open to other volunteers willing to contribute, so if you feel like you can help in this effort, get in touch with either kot or balu on the Dash Slack channel.